The light winds and haze of the past several days will be departing, replaced by windy and wet weather Monday, but the most severe weather should hold off until after the Super Bowl. 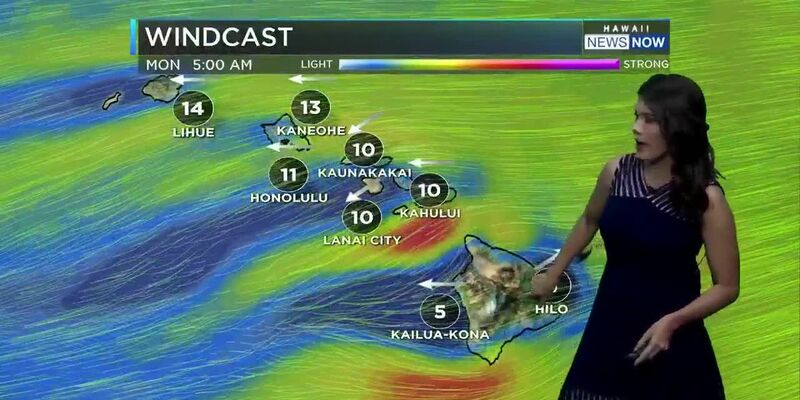 A Wind Advisory is in effect for Kauai and Oahu for strong and gusty southwest winds ahead of an approaching cold front. 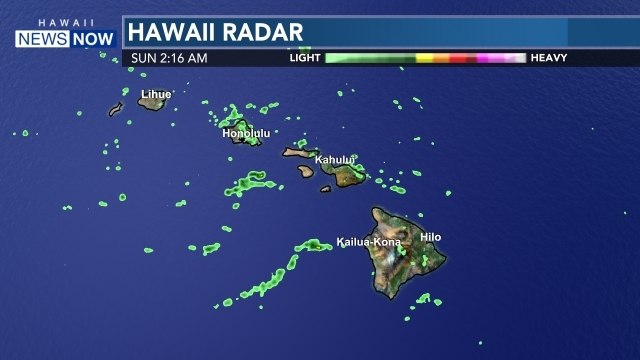 The increasing winds will push out the vog that has been over the state for the past several days, and there's an increasing chance of showers as the day progresses. 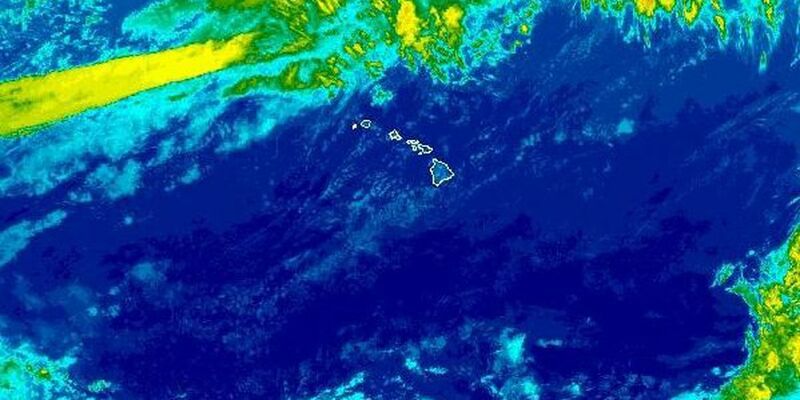 Southwest Kona winds will increase to 25 to 35 miles per hour Sunday night as the front arrives on Kauai, and then moves down the island chain Monday. There's a chance of heavy rainfall and a slight chance of thunderstorms, but the front itself should move along pretty quickly, decreasing the chance of widespread flooding. We'll definitely keep you posted here and on our Weather Now app. The strong winds also mean there's a Small Craft Advisory for most Hawaiian nearshore waters from Kauai through Maui County. There's also a Gale Warning for offshore waters 40 nautical miles miles out. In surf, north shore waves have dropped below advisory levels Sunday. Surf is also lowering on west and east shores, but a south swell could bring some shoulder-high sets. However, the surf is choppy because of the increasing Kona winds.